We all do it - buy fresh herbs in the hope that we'll use them at some point. 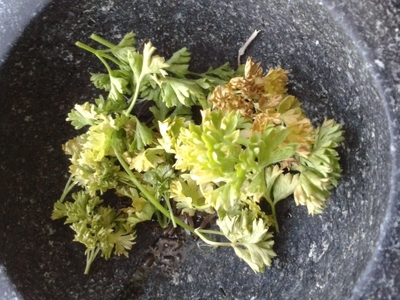 However, life gets in the way and unfortunately the herbs 'die' and get tossed in the bin. 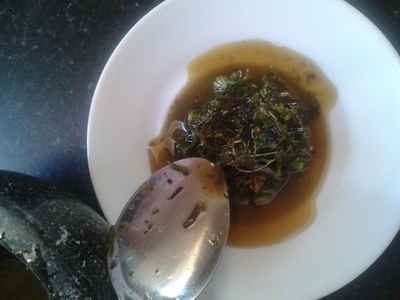 Here's a great way of salvaging the forgotten herbs, and it will keep for months. 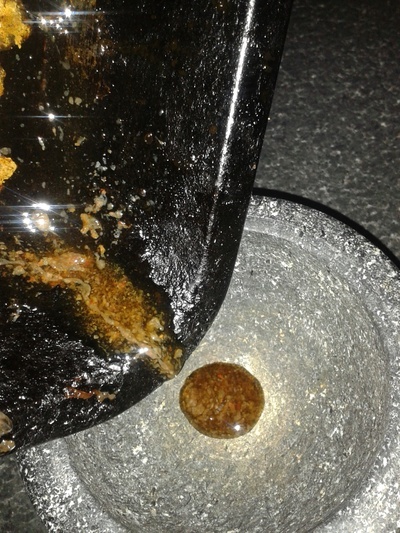 Pour the oil from the tray/bottle into the pestle and mortar. 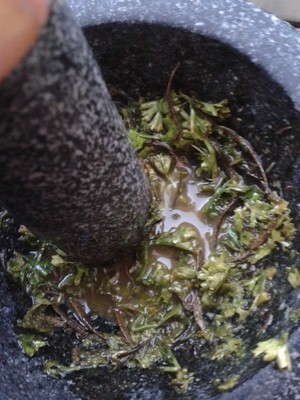 'Bash' up the herbs to a 'slop'. 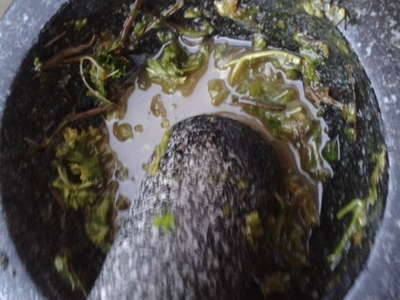 Add a garlic clove and continue to bash the mixture. Pour into a ramekin/small dish and store in the freezer. 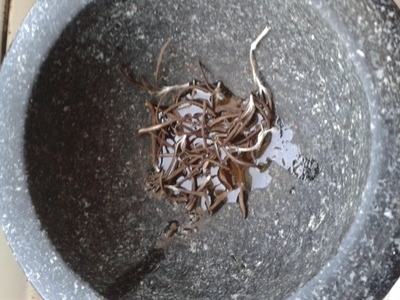 It's not the prettiest, but it's an injection of flavour for any dish and makes use of what you'd consider as 'rubbish'. Store in the freezer for up to three months. Remove as and when you need, it's great dropped into a portion of rice - I like to use it as a stock replacement.